Malaaz (Sanctuary) emerged in 2014. The band was founded by Mohamed Abdelrazik and Amr Beshr. Their aim was creating their own music, without any boundaries and finding a space where they have a place to play music. Connected through their passion for music, Abdelrazik (Guitarist/Composer/Lyricist) and Beshr (Lead Guitarist) decided in 2014 to take their music to the next level and create a band in which they could find their own sound and voice. The band consists now of five members, later on Maged Amer (Vocalist), Moataz El Nashar (Bassist) and AJ El-Gohary (Drummer) joined the band. “We needed a Sanctuary, a place to go to make music. The name Malaaz (Sanctuary) is symmetric, it captured me and the others liked the name too. This is how we got the name Malaaz.” says Abdelrazik, guitarist of the band. This is how the name of the band emerged. Although their lyrics are not really concentrated on political issues, they tackle everything that surrounds them, “I always write about feelings, and I don’t write about political issues” says Abdelrazik. For example, one song is a story of two lovers and the conversation between them. The first song they uploaded on Soundcloud was Nafs al-Tareeq (The same road) and captured the sound and feelings that Malaaz is all about. This was two years ago. Since that time, their music has evolved and became more and more complex without sounding too static. 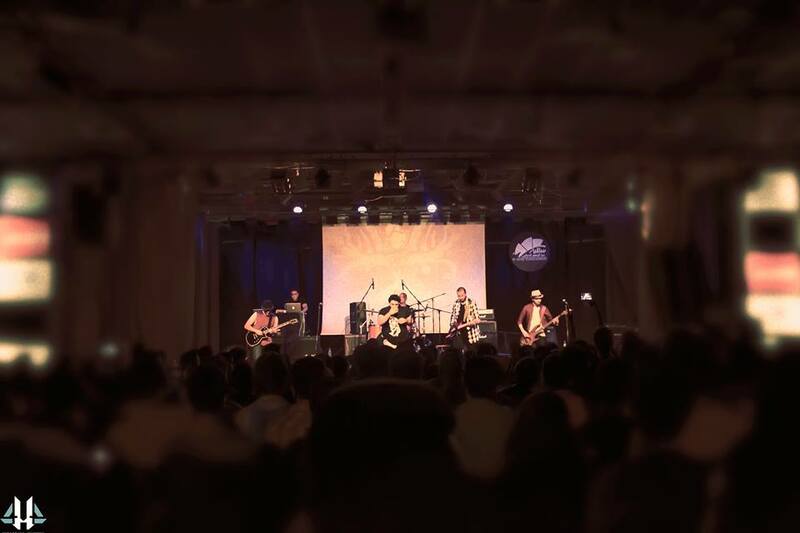 Along with other bands such as Ta7t El-Sefr, Khayal or ZigZag they are a new wave of Arabic rock bands who merges Arabic lyrics with this kind of rock music. from Western rock to metal music and each member are incorporating their own influence into the sound of the band. Abdelrazik is not only the guitarist of the band, but he usually writes the songs as well. He started to write lyrics long before he established the band with Beshr. “I did not have a teacher, and I learned the guitar by myself. Although I started to cover first songs like Linkin Park or Breaking Benjamin, I started to write original lyrics very soon and making these lyrics into songs was what inspired me to make the band in the first place.”, remembers Abdelrazik. The songs of Malaaz are characterized through long solos which are not common in Arabic songs. The lead guitarist for instance likes Metal and this is reflected in the solo parts of Malaaz’s songs. Abdelrazik is usually in charge of writing the songs. First, he creates a demo of the song and then they are working together. On their soundcloud page they always try to upload new songs to reach out to the fans and to connect with them. Although they have only released a couple of singles for now, their archive is growing with each month and they have right now eleven songs uploaded. They already released their first music video of a song called Yabni Adam. “I wrote a lot of songs that will be on the first Album, there is a lot of material and we expect to release our first Album sometime next year” explains Abdelrazik. The development of their sound can be indeed heard with each song they are releasing on Soundcloud. Their last four songs are in terms of sound quality different than their earlier releases. With releasing this kind of music, their music is not only a sanctuary for the band members, but for the fans too who listen to their music. You can find their Facebook page here. …and the Soundcloud page here.